The doomed Denel Asia joint venture with VR Laser cost Denel R3 billion in revenues, the Portfolio Committee on Public Enterprises has heard. Department of Public Enterprises Acting Director-General Thutho Shomang on 13 February told the Portfolio Committee on Public Enterprises in a presentation that Denel wiped out R3 billion of revenues through corruption through the Denel Asia joint venture against the advice of everyone including their owned due diligence report, which advised against doing business with VR Laser in its various incarnations. Denel partnered with the politically connected VR Laser in 2016 to establish Denel Asia, but after “differences of opinion with National Treasury” and “ negative attention from the media to the detriment of the Denel brand, both locally and internationally,” Denel exited the joint venture in August 2017. The fallout from the capture of Denel, which manifested most clearly in the Denel Asia joint venture, has caused the state owned defence conglomerate enormous reputational damage and affected its order book. According to the latest Denel annual report, in the 2017/18 financial year the company’s order book stood at R18 billion, down from R30 billion in 2016. Denel said for the 2017/18 financial year, revenue was down from R8 billion to R4.9 billion. This was largely due to the impact of the liquidity crisis and reputational damage suffered through association with state capture on all aspects of the business. The Department of Public Enterprises briefing on Wednesday also looked at issues emanating from the State of the Nation Address and progress in addressing audit findings of the Auditor-General on the department and state-owned companies. The portfolio committee heard that Denel recorded irregular expenditure of R116 million in 2016/17, with the newly acquired division Denel Vehicle System being responsible for R83 million. In 2017/18, irregular expenditure increased to R513 million, mainly due to non-compliance with the Public Finance Management Act (PFMA) and Treasury Regulations. The 2017 Denel annual report contained an incorrect audit opinion and this resulted in intervention by the Minister, Denel and auditors Sizwe Ntsaluba Gobodo (SNG). The revised 2017 annual report was subsequently re-tabled in Parliament in early 2018. In President Cyril Ramaphosa’s state of the nation (SONA) address, he committed to restoring proper corporate governance, new boards with credible, appropriately experienced and ethical directors at state owned enterprises, including Eskom, Denel, Transnet, SAFCOL, PRASA and SA Express. This includes the appointment of Daniel du Toit as Denel Group CEO effective from mid-January. 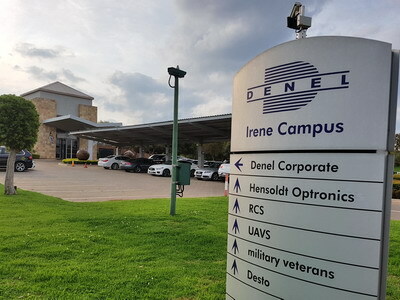 In spite of challenges, Denel believes that given the mitigating steps taken by the new board, appointed last year, Denel will continue operating as a going concern for the 12 month period to 31 October 2019. Turnaround measures include the selling of non-core assets, introduction of strategic partnerships, raising R2.8 billion in the investor market in September 2018 and receiving extended government guarantees for a period of five years until September 2023. Denel expects to return to profit in the 2019/20 financial year. Martin Sibara Me too. Though a friend of mine worked with the defense force said that we are combat ready than the media makes it out to be. Gives me hope.